Follow House of Hepworths on Instagram, Facebook, and Pinterest! Halloween is right around the corner! Seriously. It’s in like 10 days. If you haven’t decorated yet, here are a few ideas from my neighbors and myself that make decorating a breeze. We just moved here so I literally just threw out a few decorations and it took me like 3 seconds. 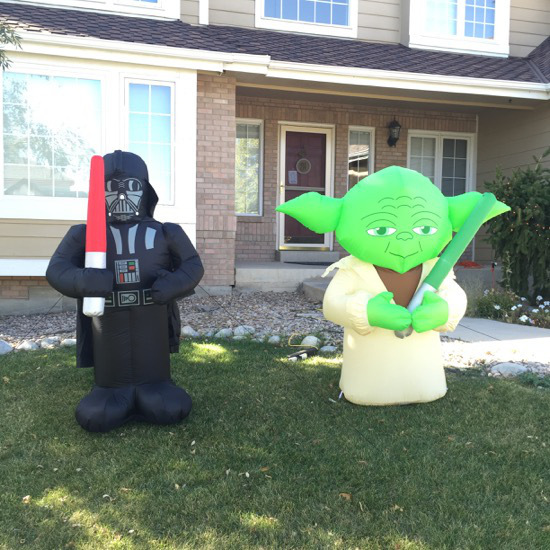 Okay first up, we are a Star Wars family, so when I saw these two Star Wars Inflatables at Wal-Mart, I just had to get them. 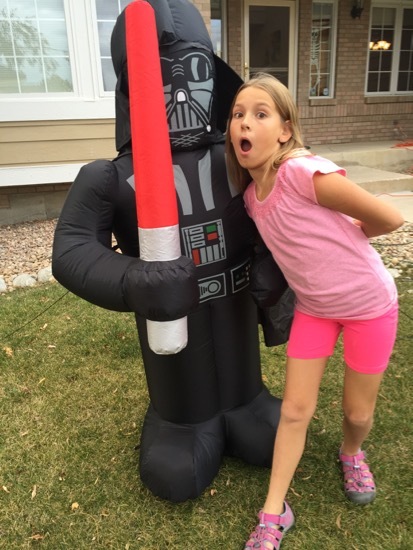 The $30 price tag seemed a lot cheaper than most inflatables so it was a no-brainer. We are officially the nerd family of the street now. I found them on Amazon for you, and hello, while searching for Darth Vader and Yoda, I also found Chewbacca, R2-D2, and C3PO! I now must have those too. 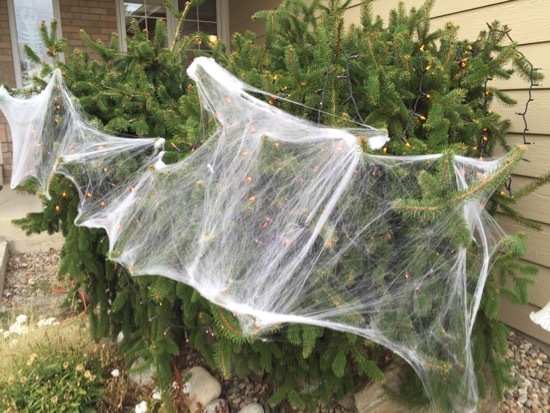 We also bought some strands of lights – a purple one and an orange one, and draped them over a bush in the front yard, then covered the bush with some fake cobwebs. Super easy. Kinsey recently discovered Pinterest on her phone (Lord help us all!) and has been a little crafting machine since then. 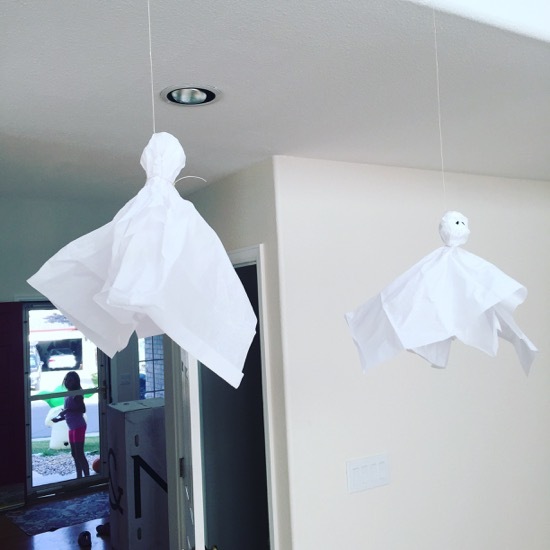 One of the first crafts she made were these tissue paper ghosts. She has hung at least 8 of them around the house another couple in the yard. Here’s my Holiday Crafts for Kids Pinterest board with lots of craft ideas! While taking my daily jog/walk around the block I saw two houses with super easy yet totally adorable Halloween decor. Okay, so first up, how easy is this? 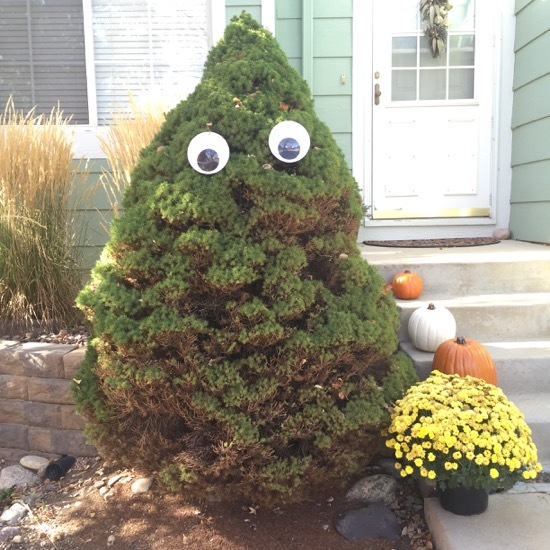 Simply purchase two jumbo googly eyes and attach them to a large bush in your yard. Easy and cute. 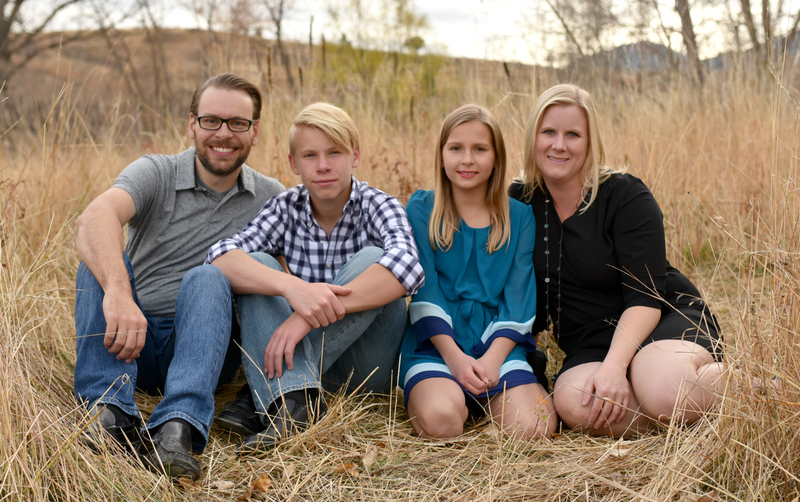 The next project I saw was so easy it had me left wondering how I had never thought of it! Take a cheap plastic pumpkin trick-or-treating pail, cut it in half, and wrap it around your outdoor lights. Seriously the cutest most creative decorating craft ever. Another way to get into the Halloween spirit? (See what I did there? haha) Make Cupcake Ice Cream Cones! This is one of my most popular posts of all time, and for good reason! These cones are easy to make and taste even more delicious than a basic cupcake. 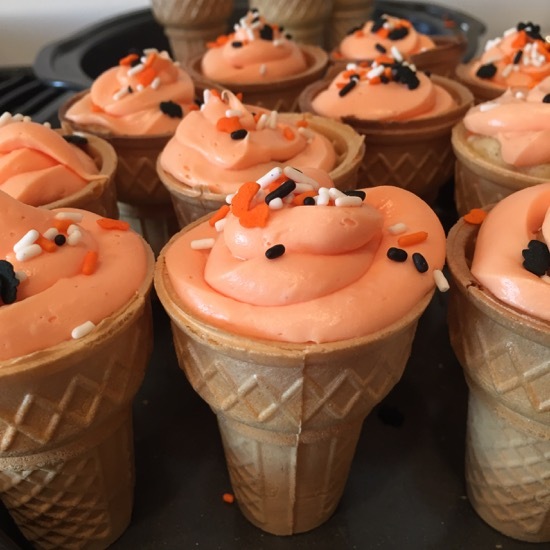 We purchased Halloween cake mix and matching Halloween frosting with sprinkles to whip up this batch of Cupcake Cones. Yummm! 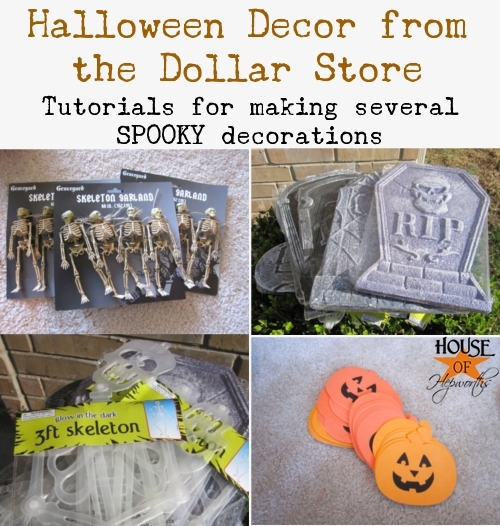 This Halloween post is chock full of good ideas for decorating using cheap items found at the Dollar Store. Hopefully I’ve given you some great ideas for last-minute decorating this Spooky season! 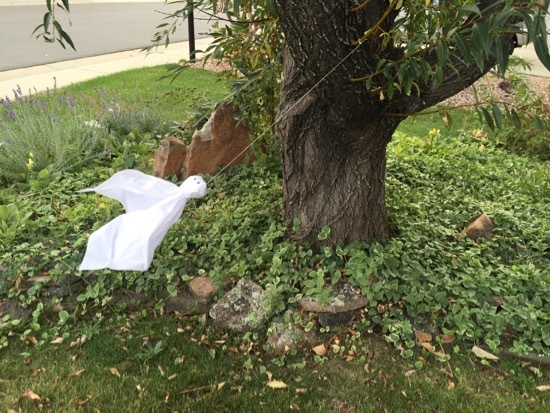 My Halloween decorations are still in storage… sigh. 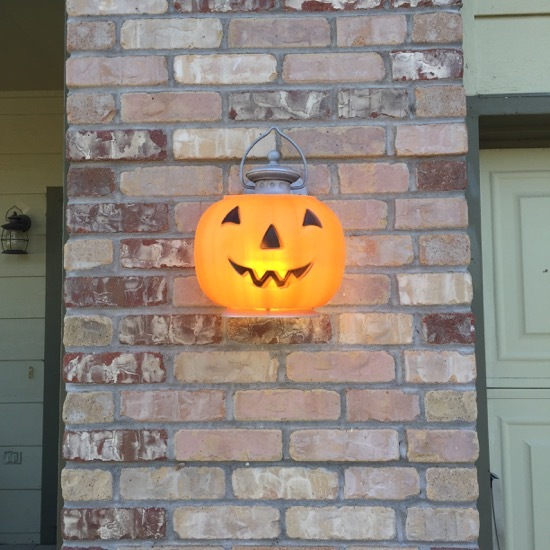 I really like the pumpkin pail over the lights, that is really ingenious!